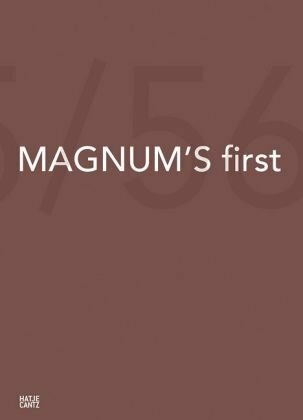 Magnum Photos, founded in 1947 by Robert Capa, Henri Cartier-Bresson, George Rodger, David Seymour and Bill Vandivert, is perhaps the most famous photography agency and collective in the world today. Until recently it was thought that the earliest Magnum group show was the photographic scholar L. Fritz Gruber’s 1956 exhibit, curated for the Photokina in Cologne. However, more than 50 years later, an even earlier show has been rediscovered. Magnum Photo: Gesicht der Zeit (The Face of Time) was organized by the Amateur Photographers’ Club of Graz, Austria and was shown in the Graz Joanneum from January 21 to February 5, 1955, before traveling to four other Austrian cities in 1955 and 1956. The show’s main theme was “photographic humanism”— people and their living spaces, photographed without sensationalism by committed photojournalists who believed in educating and bettering the world through photographic documentation. With a total of 83 vintage prints by eight Magnum photographers—Werner Bischof, Henri Cartier-Bresson, Robert Capa, Ernst Haas, Erich Lessing, Jean Marquis, Inge Morath and Marc Riboud— this is the first publication to offer complete documentation of the show. All photographs are featured in large-format reproductions.